A piece in the latest LRB sent me back to The Return of the Native. Tim Parks wants to ‘slap a health warning’ on the vacillation, despair and failed heroism that some of us find so comforting – or did, if we were in our teens and twenties, and saw the attractions of a life lived out despite and against the dictates of fate. The Native of the title, Clym feels he must return from the high life of Paris to the ‘swarthy monotony’ of Egdon Heath, while almost everyone else struggles to leave, including Eustacia, born, she believes, for better things – unlike the itinerant dyer (reddleman, according to Hardy’s Wessex dialect), Venn, whose hands are stained by his occupation and whose very self is the heath made flesh. 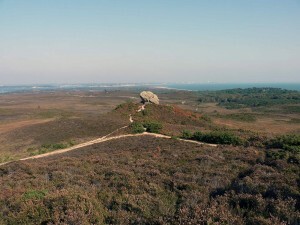 Hardy’s real and imagined Dorset heathland is now largely built over. 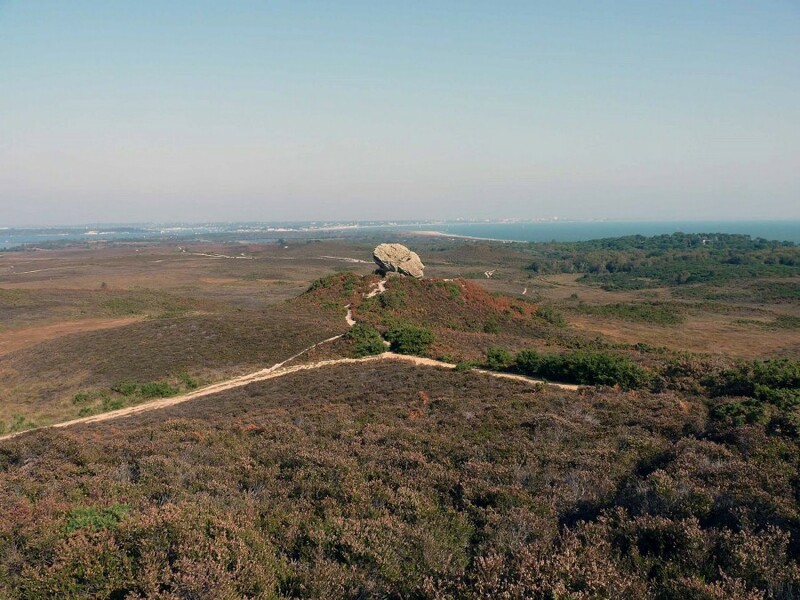 The area to the south, near Studland Bay, shows us what Hardy saw. Everyone in the book, Venn apart, wants what (and who) they cannot have, to be where they cannot go, they know this with Sophoclean certainty yet they struggle against it, and against Hardy’s sometimes outlandish plot devices, all they can. And between and around them Hardy plants great swathes of unknowing nature, the heath made word. Consider against this the hectic life and prose of Casterbridge wherein its mayor, Henchard, Hardy’s Oedipus, bullies and blunders his way to his slow downfall. In Hardy, style and content are one like mind and body. How that prevailing gloomy vacillation appealed to Gustav Holst is not hard to see. Born the same year that Hardy wrote his first well-received novel (Far from the Madding Crowd, 1874), Holst likewise spent much of his career wondering how to live down success, won after some tribulation in their early-middle age. Invited to write a symphony by the New York Symphony in 1927 (the year before it became the NYPO), Holst gave them a 13-minute essay in maundering despair. Some tone poems – Strauss’s Don Juan, Elgar’s Falstaff – detail a hidden narrative, like a ballet without dancing. Egdon Heath does not do this. There are no themes for Clym, Eustacia or the reddleman. Flutes in parallel fourths (and that’s not nice) wander above a bass line of no fixed abode, the heath made music. From an earlier generation, Hardy must offer the sense of an ending, let fate run its course. Holst feels no such obligation.